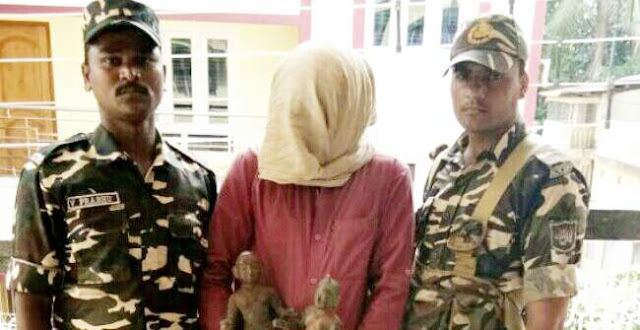 Security forces on Monday, apprehended a person with two antique idols worth Rs 35 crore in the international market. The seized idols were brought to the department of History North Bengal University at historical department where they were certified as antiques. The idols have since been handed over to the customs department in Siliguri for further legal procedures. The accused has been identified as Fotu Yadav, a resident of Baradi District Katihar in Bihar state. A special operations team conducted the ambush operation on the Baghdogra-Ghoshpukur Road on National Highway 31.